My friend, Israeli writer and public intellectual Yuval Ben-Ami set off to see what it is like to re-examine his country′s main tourist attractions with a critical native eye (all posts here), and I decided to virtually follow his path. In my blog posts I share my memories on what it was like visiting those places as an expat in Israel. This is how Yuval describes his idea, and here I describe mine (which is also Part 1 of my journey – the Western Wall). Yuval′s second blog post was about the Baha’i Gardens, so I wrote about them too. His third post was about Nazareth, so let′s follow him. In spring 2010 I was something like half-way through my Hebrew classes, and there were long vacations in March, so my Hebrew school colleagues decided to rent a car and drive around North Israel, to which I enthusiastically agreed. I had always dreamed of a road trip in Israel. One of the colleagues had some Dutch friends in Karmiel, who were taking part in a youth volunteering project, and so we arranged with them that we will stay there overnight. Nazareth was one of the stops towards the end of our trip, where we visited by far more exotic places. So after the trip the only thing I mentioned about Nazareth on my Facebook was “meeting deca-lingual (or how would you call it) person in Nazareth.” We went to buy baklava at a local shop, and the venture developed into a long conversation with its owner, who later asked to take photos with us and demonstrated his skills in speaking Arabic, Hebrew, English, French, Italian, Spanish, Dutch and some other languages that I forgot. He was particularly happy to practice his Dutch. He had spent a lot of time in Europe before, but said that business was better in Israel. 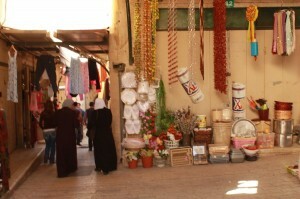 Nazareth is very touristic, but less commercial than central Jerusalem. 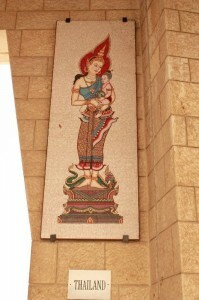 The main church is decorated with images of Mary from various countries. Some countries have sent several. 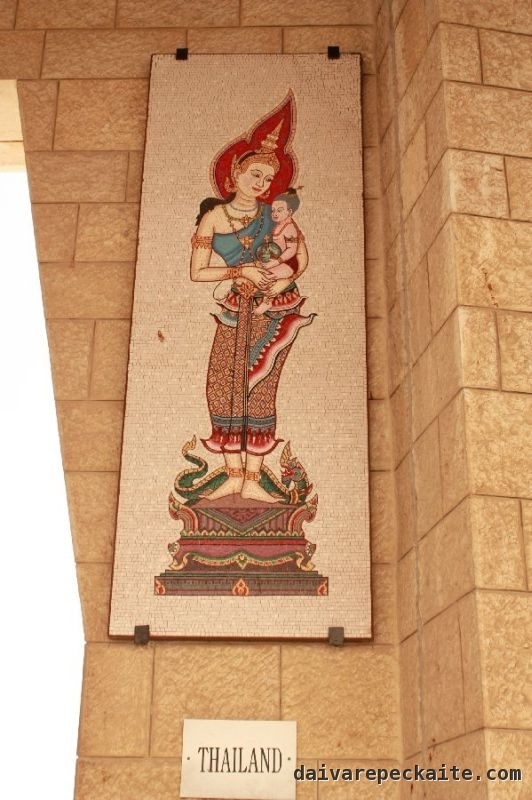 This is what Lithuania had to offer (a copy of the image worshiped at the Gate of Dawn [Morning Star]), and next to it is the most interesting, Thai one. I was very surprised to see a poster saying that those whose religion is any other than Islam are lost to God. Even religious sensitivity aside, this town is not only sacred to Christians, but also dependent on tourism. Yet it seemed that nuns, walking around in large crowds, did not care. 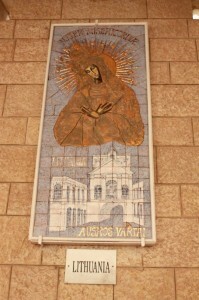 Various congregations are represented in Nazareth (Catholics, Orthodox, Baptists, Coptic Christians, etc. ), and there is a church-synagogue, but we didn’t quite get how it works. There was nothing synagogue-like in it, and a Vatican flag hung at the door. Yuval calls Nazareth a “cultural and political powerhouse,” which, of course, we did not experience. For us this was a stop were new experiences connected with something we already knew (some smaller towns were full of surprises). After various funny adventures during the road trip (I should blog about it one day) a town with churches and a market did not appear to be the most remarkable. Being in a predominantly Arab town in Israel, we did not quite know how to position ourselves – we were five Europeans with English as our common language, studying Hebrew at the same school, but it felt intuitive to try Hebrew at markets and cafes first, although locals were happier practicing their English. 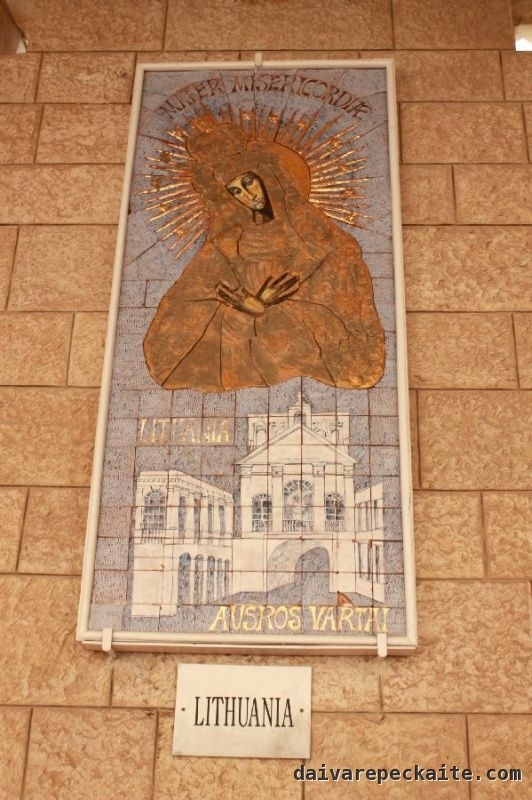 There are several layers to experience Nazareth: consumerist (we had heard before that Nazareth was the ′capital of baklava′), religious and, as Yuval does, artistic and political. Hopefully the combination of our texts covers them in an interesting way. 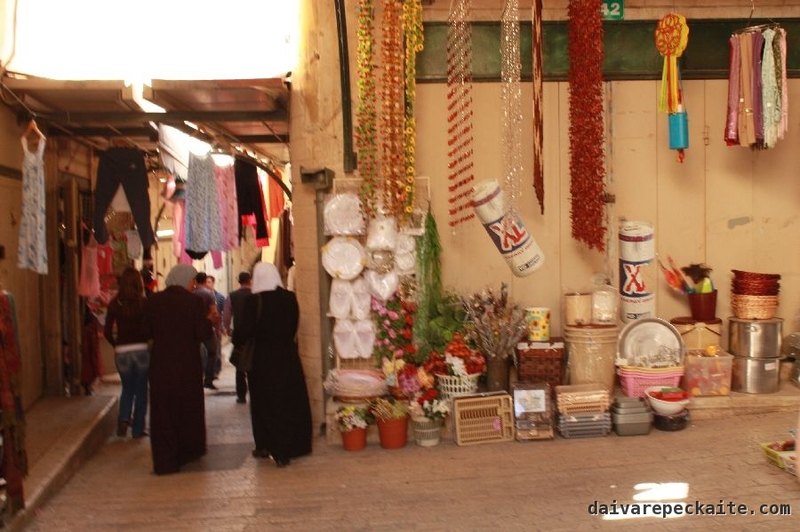 This entry was posted in Travel blog and tagged baklava, beaten path, church, israel, Yuval Ben-Ami, nazareth, religion, road trip, tourism, travel on 2014-12-23 by Daiva.